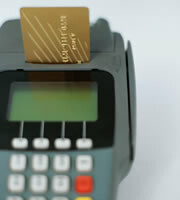 Last month, IndexCreditCards.com asked, "Are you embarrassed by your credit card balances and credit score?" The question was prompted by a survey from the National Foundation for Credit Counseling that found three times more consumers being ashamed of their card balances than their weight. Now, think tank Demos has published a new study, "The Debt Disparity: What Drives Credit Card Debt in America," that suggests embarrassment is far from the apposite emotion for many of those who have to carry forward these balances every month. Resentment or even rage might be more appropriate. The Demos researchers selected two sample groups, each comprising about 1,000 working age, low- and middle-income households. In demographic terms, these two groups precisely mirrored each other, with the same mix of age, marital status, income, rate of homeownership, and race and ethnicity. The only difference was that members of one group routinely carried credit card debt while those in the other didn't. The researchers then explored the backgrounds and financial experiences of all the experiment's participants, and reached a startling conclusion, as stated in the study's executive summary: "Contrary to popular belief, we find little evidence that households with credit card debt are less responsible in their spending habits than households that do not have accumulated debt." Instead of uncovering profligacy as the cause of carrying card debt, it found that education was arguably the biggest factor, with those with college degrees 22 percent less likely to carry credit card debt than less-educated respondents. This won't be much of a surprise to regular readers, who may recall a recent report on this website quoting a 2008 Jump$tart survey: "The financial literacy of high school students has fallen to its lowest level ever," it said. However, at the same time, college students did much better in tests. Lacking medical insurance. If a member of the household had been without coverage in the previous three years, the chances of having card debt jumped 20 percent. Unemployment. If a member of the household had been unemployed for two months or more in the previous three years, those chances rose 14 percent. Underwater mortgages. Among homeowners, having negative equity increased the chances of rolling forward balances by a whopping 24 percent. A further factor was the presence of children under 18 years in the household. Those that had them were 15 percent more likely to have card debt than those that didn't. By now, a large proportion of this article's readership will be hurling abuse at their screens, screaming: "Don't be stupid! Of course a huge amount of credit card debt is due to self-indulgence, poor self-control and a lack of moral fiber." And that's right: some of it almost certainly is. Maybe it's time for Americans who are lucky enough to have escaped unusually wired brains, unemployment, underwater mortgages, under-education and so on to be less judgmental about those who are less fortunate. In itself, this probably isn't a cause of much concern. If you look at year-on-year figures rather than a single -- so far exceptional -- month, cards come a long way down the country's list of consumer credit worries. However, if this turns out to be the start of an upward trend (and chief economist Alan Levenson of investment firm T. Rowe Price told Collections and Credit Risk magazine that the momentum is likely to continue in coming months) then we could eventually see a return to the misery of unmanageable card debt. If you're using your cards as -- in the words of Amy Traub, author of the Demos report -- a "plastic safety net," then you probably have little choice but to continue to do so. If you're comfortable and creditworthy, then using your credit cards to borrow makes little sense. Lenders are probably lining up to offer you much cheaper forms of credit, and all you have to do is stir yourself to apply. If you're not creditworthy enough to borrow elsewhere, you might want to take that as a sign. If the experts don't think you should borrow (at least at reasonable rates), might they have a point? When it comes to buying things, there are no bigger fans of credit cards than the people who write for IndexCreditCards.com. This sort of plastic is simply and objectively the best way to pay, and you're cutting off your nose to spite your face if you use debit or prepaid cards, cash, checks or any other form of payment. But, when it comes to borrowing, you should do all you can to avoid them and their high rates. That's easy to say, but, for many, it's hard or impossible to achieve. Maybe it's time we all recognized that. 0 Responses to "Credit card debt not a sign of irresponsibility"